This article is about the town in Suffolk, England. For other uses, see Ipswich (disambiguation). Ipswich (/ˈɪpswɪtʃ/ ( listen)) is a large historical town in Suffolk, England, located in East Anglia about 66 miles (106 km) north east of London. It is also the county town of Suffolk. The town has been continuously occupied since the Saxon period, and its port has been one of England's most important for the whole of its history. Ipswich is a non-metropolitan district. The urban development of Ipswich overspills the borough boundaries significantly, with 75% of the town's population living within the borough at the time of the 2011 Census, when it was the fourth-largest urban area in the United Kingdom's East of England region, and the 42nd-largest urban area in England and Wales. In 2011, the town of Ipswich was found to have a population of 133,384, while the Ipswich built-up area is estimated to have a population of approximately 180,000 in 2011. The modern name is derived from the medieval name Gippeswic, probably taken either from an Old Saxon personal name or from an earlier name of the Orwell estuary (although unrelated to the name of the River Gipping). It has also been known as Gyppewicus and Yppswyche. Ipswich is one of England's oldest towns, if not the oldest. At its core Ipswich was and is the oldest still continuing town to have been established and developed by the English. It has an unbroken history of community as a town since early Anglo-Saxon times. Under the Roman empire, the area around Ipswich formed an important route inland to rural towns and settlements via the rivers Orwell and Gipping. A large Roman fort, part of the coastal defences of Britain, stood at Walton near Felixstowe (13 miles, 21 km), and the largest Roman villa in Suffolk (possibly an administrative complex) stood at Castle Hill (north-west Ipswich). The modern town took shape in Anglo-Saxon times (7th–8th centuries) around the Ipswich docks. 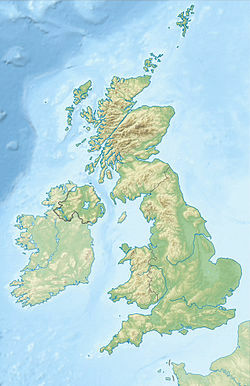 As the coastal states of north-western Europe emerged from the collapse of the Roman Empire, essential North Sea trade and communication between eastern Britain and the continent (especially to Scandinavia, and through the Rhine) passed through the former Roman ports of London (serving the kingdoms of Mercia, the East Saxons, Kent) and York (Eoforwic) (serving the Kingdom of Northumbria). Gipeswic (also in other spellings such as Gippeswich) arose as the equivalent to these, serving the Kingdom of East Anglia, its early imported wares dating to the time of King Rædwald, supreme ruler of the English (616–624). The famous ship-burial and treasure at Sutton Hoo nearby (9 miles, 14.5 km) is probably his grave. The Ipswich Museum houses replicas of the Roman Mildenhall and Sutton Hoo treasures. A gallery devoted to the town's origins includes Anglo-Saxon weapons, jewellery and other artefacts. The seventh-century town was centred near the quay. Towards 700 AD, Frisian potters from the Netherlands area settled in Ipswich and set up the first large-scale potteries in England since Roman times. Their wares were traded far across England, and the industry was unique to Ipswich for 200 years. With growing prosperity, in about 720 AD a large new part of the town was laid out in the Buttermarket area. Ipswich was becoming a place of national and international importance. Parts of the ancient road plan still survive in its modern streets. After the invasion of 869 Ipswich fell under Viking rule. The earth ramparts circling the town centre were probably raised by Vikings in Ipswich around 900 to prevent its recapture by the English. They were unsuccessful. The town operated a mint under royal licence from King Edgar in the 970s, which continued through the Norman Conquest until the time of King John, in about 1215. The abbreviation Gipes appears on the coins. King John granted the town its first charter in 1200, laying the medieval foundations of its modern civil government. Thenceforth Ipswich strongly maintained its jurisdiction over the so-called Liberty, a region extending over about 35 square kilometres centred on the town. In the next four centuries it made the most of its wealth, trading Suffolk cloth with the Continent. Five large religious houses, including two Augustinian Priories (St Peter and St Paul, and Holy Trinity, both mid-12th century), and those of the Ipswich Greyfriars (Franciscans, before 1298), Ipswich Whitefriars (Carmelites founded 1278–79) and Ipswich Blackfriars (Dominicans, before 1263), stood in medieval Ipswich. The last Carmelite Prior of Ipswich was the celebrated John Bale, author of the oldest English historical verse-drama (Kynge Johan, c.1538). There were also several hospitals, including the leper hospital of St Mary Magdalene, founded before 1199. During the Middle Ages the Marian Shrine of Our Lady of Grace was a famous pilgrimage destination, and attracted many pilgrims including Henry VIII and Katherine of Aragon. At the Reformation the statue was taken away to London to be burned, though some claim that it survived and is preserved at Nettuno, Italy. Around 1380, Geoffrey Chaucer satirised the merchants of Ipswich in the Canterbury Tales. Thomas Wolsey, the future cardinal, was born in Ipswich in 1473 as the son of a wealthy landowner. One of Henry VIII's closest political allies, he founded a college in the town in 1528, which was for its brief duration one of the homes of the Ipswich School. He remains one of the town's most famed figures. During the 14th to 17th centuries Ipswich was a kontor for the Hanseatic League, the port being used for imports and exports to the Baltic. In the time of Queen Mary the Ipswich Martyrs were burnt at the stake on the Cornhill for their Protestant beliefs. A monument commemorating this event now stands in Christchurch Park. From 1611 to 1634 Ipswich was a major centre for emigration to New England. This was encouraged by the Town Lecturer, Samuel Ward. His brother Nathaniel Ward was first minister of Ipswich, Massachusetts, where a promontory was named 'Castle Hill' after the place of that name in north-west Ipswich, UK. Ipswich was also one of the main ports of embarkation for puritans leaving other East Anglian towns and villages for the Massachusetts Bay Colony during the 1630s and what has become known as the Great Migration. In 1824 Dr George Birkbeck, with support from several local businessmen, founded one of the first Mechanics' Institutes which survives to this day as the independent Ipswich Institute reading room and library. The building, at 15 Tavern Street, has been the site of the library since 1836. In the mid-19th century coprolite (fossilised animal dung) was discovered; the material was mined and then dissolved in acid, the resulting mixture forming the basis of Fisons fertiliser business. The first unit of the Queensland Volunteer Rifle Brigade was formed in March 1860 by one of Ipswich's pioneers, Edred Heady Blunt. An Imperial commissioned soldier by the name of Donald Bethune, instructed the volunteers who were the country's sole defence force at this time. The Tolly Cobbold brewery, built in the 18th century and rebuilt in 1894–96, is one of the finest Victorian breweries in the UK. There was a Cobbold brewery in the town from 1746 until 2002 when Ridley's Breweries took Tolly Cobbold over. Felix Thornley Cobbold presented Christchurch Mansion to the town in 1896. Smaller breweries include St Jude's Brewery, situated in an 18th-century coach-house near the town centre. Ipswich was subject to bombing by German Zeppelins during World War I but the greatest damage by far occurred during the German bombing raids of World War II. The area in and around the docks were especially devastated. Eighty civilians died by enemy action in the Ipswich county borough area during the latter war. The last bombs to fall on Ipswich landed on Seymour Road at 2 a.m. on 2 March 1945, killing 9 people and destroying 6 houses. The Willis Building is a glass-clad building owned by Willis. Designed by Norman Foster, the building dates from 1974, when it was known as the Willis Faber & Dumas building. It became the youngest grade I listed building in Britain in 1991, being at the time one of only two listed buildings to be less than 30 years old. In September 1993 Ipswich and Arras, Nord Pas-de-Calais, France, became twin towns, and a square in the new Buttermarket development was named Arras Square to mark the relationship. Ipswich has experienced a building boom in the early part of the 21st century. Construction has mainly concentrated around the former industrial dock which is now known as the Ipswich Waterfront. Regeneration to the area has made it a hub of culture in Ipswich, the area boasts fine dining restaurants, a boutique hotel, and the new regional university, the University of Suffolk. The new high rise buildings of the Regatta Quay development has topped the list of the tallest buildings in Ipswich. The mixed-use high rise building, the Cranfield Mill, is currently the tallest building in East Anglia. Ipswich remains a 'town' despite a few attempts at winning 'city' status. The town does not have a cathedral, so the Bishop of St Edmundsbury and Ipswich is based at Bury St Edmunds, the former county town of West Suffolk. In 2017, Ipswich was named as the 7th most desirable places to live and work in England by the Royal Mail. The waterfront is now devoted primarily to leisure use and includes extensive recent development of residential apartment blocks and a university campus. Businesses operated from the dock include luxury boats and a timber merchant. Other industries have been established to the south of the wet dock. The area was flooded in 2013 during a tidal surge. In February 2019 a flood gate, which protects the 'New Cut' was unveiled. The flood barrier, similar in design to the Thames Barrier, cost £67m. The Ipswich Village Development, begun in 2002 around Russell Road, is home to Suffolk County Council and Ipswich Borough Council. Holywells is the area around Holywells Park, a 67-acre (27 ha) public park situated near the docks, and the subject of a painting by Thomas Gainsborough. Alexandra Park is the nearest park to the waterfront's northern quay, and situated on Back Hamlet, adjacent to University of Suffolk. Districts outside the town centre include Bixley Farm, Broke Hall, California, Castle Hill, Chantry, The Dales, Gainsborough, Greenwich, Kesgrave (which is actually a separate town situated in Suffolk Coastal District), Maidenhall, Pinewood, Priory Heath, Racecourse, Ravenswood (built on a former airfield), Rose Hill, Rushmere, Springvale, St Margarets, Stoke, Warren Heath, Westbourne, Whitehouse and Whitton. To the east of the town is Trinity Park near Bucklesham the home of the annual Suffolk Show, a typical county show. The 'Trinity' is the name given to the three animals native to the county of Suffolk, namely Red Poll cattle, the powerful Suffolk Punch horse and the black-faced Suffolk sheep. Ipswich is home to many artists and has a number of galleries, the most prominent of which are at Christchurch Mansion, the Town Hall, in Ancient House and the Artists' Gallery in Electric House. The visual arts are further supported with many sculptures at easily accessible sites. The Borough Council promotes the creation of new public works of art and has been known to make this a condition of planning permission. The town has three museums: Ipswich Museum, the Ipswich Transport Museum and Christchurch Mansion. The New Wolsey Theatre is a 400-seat theatre situated on Civic Drive. Although the Wolsey Theatre was built in 1979, The New Wolsey Company took on the management and running of the Wolsey Theatre in 2000, opening its first production in February 2001. DanceEast, which has the primary aim of advocating innovation and development of dance in the East of England is now resident in their new premises as part of the waterfront development. They are building new premises as part of the waterfront development. These are the first custom built dance facilities in the east of England at a cost of around £8 million. Spill Festival of Performance was launched in Ipswich in 2007 and alternates between London and Ipswich yearly. In 2018, Clarion Call is the signature installation in the Festival  Installed at the historic town centre and waterfront in Ipswich, Clarion Call is a sonic intervention calls out to the setting sun in daily incantations, its voices reflecting contemporary Britain while exploring the local history of the World War One, using audio technology originally employed in war and emergencies, and the voices and songs of women and girls, to create a soundscape of immense scale. Eastern Angles Theatre Company is based at the Sir John Mills Theatre in Ipswich, named after the famous actor who lived in Felixstowe as a child. In 2012 it celebrated its 30th anniversary. The group engages in rural tours and seasonal performances. The Ipswich Arts Festival, known as 'Ip-art' has been the town's annual summer arts festival since 2003 and seen a developing and varied programme of events from visual arts, performing arts, literature, film and music, notably a free music day in Christchurch Park. The Ipswich Jazz Festival is a jazz music and arts festival started in 2015 in partnership with the Ipswich Arts Festival and mixes established jazz talent, rising stars and regional players. It also features art and photography exhibitions, film screenings and workshops held in venues across the town. Key Arts is an artist-run space using the redundant St Mary at the Quay Church on the waterfront. They hold a comprehensive programme of events and residencies during the year and have been running since 2006. Norwich remains the regional centre for TV broadcasting, but both BBC East and Anglia TV have presenters and offices in Ipswich. The town has five local radio stations, BBC Radio Suffolk covering the entire county, where the East Anglian Accent can be heard on its many phone-ins, the commercial station Heart East Anglia which was founded in 1975 as Radio Orwell covering the A14 corridor in Suffolk, and Town 102 which was founded in 2006 and is the first full-time commercial station specific for Ipswich. The younger audience is catered for with Suffolk-based Kiss 105-108. Ipswich Community Radio was launched in 2007.The town's daily newspaper is the Ipswich Star a sister title to the county's daily newspaper the East Anglian Daily Times. In addition to the Christchurch Mansion and Ancient House, Ipswich in the 21st century has some important cultural buildings including the New Wolsey Theatre and the Regent Theatre—the largest theatre venue in East Anglia where, in the 1960s, the Beatles performed when it was still known as the Gaumont. There are several medieval Ipswich churches but the grandest is St. Mary-le-Tower, rebuilt by the Victorians. Holy Trinity Church by the waterfront is one of the few churches in the country which was built during the reign of William IV and whilst the outside looks plain, the interior is quite spectacular. The world's oldest circle of church bells is housed in St Lawrence Church. The former East Suffolk County Hall is in the centre of Ipswich. It is listed as a building at risk by the Victorian Society. The Town Hall remains in use as an arts centre and events venue; it dates from 1866 (architects: Bellamy & Hardy of Lincoln). Modern buildings include Endeavour House (headquarters of Suffolk County Council and formerly home of the TXU Corporation), Grafton House (home of Ipswich Borough Council) and Ipswich Crown Court, all located on Russell Road in the area known as the Ipswich Village Development, which includes Portman Road stadium. The stadium has hosted England under-21, under-23, and international soccer matches, as well as rugby union and hockey matches. In the waterfront area The Mill is the tallest building in East Anglia, reaching 23 storeys. On the north-west side of Ipswich lies Broomhill Pool, a Grade II listed Olympic-sized lido which opened in 1938 and closed in 2002, since which time a campaign to see it restored and re-opened has been run by the Broomhill Pool Trust. On the southern side of Ipswich is historic Belstead Lodge, now the Belstead Brook Hotel. Ipswich is governed locally by a two-tier council system. Ipswich Borough Council fulfils district council functions such as refuse collection, housing and planning and Suffolk County Council provides the county council services such as transport, education and social services. The town is covered by two parliamentary constituencies: Ipswich, which covers about 75% and, as of June 2017[update], is represented by Labour MP Sandy Martin, and Central Suffolk & North Ipswich, which covers the remaining 25% and is represented by Conservative MP Dan Poulter. In April 2006 the borough council initiated public discussions about the idea of turning the borough into a unitary authority; Ipswich had constituted a county borough from 1889 to 1974, independent of the administrative county of East Suffolk, and this status was not restored by the Banham/Cooksey Commission in the 1990s. Ipswich, Norwich, Exeter and Oxford united to campaign for unitary authority status for the four towns, hoping to use the window of opportunity presented by the October 2006 Local Government White Paper. In March 2007, it was announced that Ipswich was one of 16 shortlisted councils and on 25 July 2007, the secretary of state announced that she was minded to implement the unitary proposal for Ipswich, but that there were 'a number of risks relating to the financial case set out in the proposal', on which she invited Ipswich to undertake further work before a final decision was taken. Early in December plans were thrown into doubt as the government announced that it had 'delayed' the unitary bids for Ipswich and Exeter. In July 2008 the Boundary Committee announced its preferred option was for a unitary authority covering Ipswich and the south eastern corner of Suffolk, including Felixstowe. Being the county town of agricultural Suffolk, industry around Ipswich has had a strong farming bias with Ransomes, Sims & Jefferies Ltd, one of the most famous agricultural manufacturers, located in the town. It is notable that the world's first commercial motorised lawnmower was built by Ransomes in 1902. Ransomes & Rapier was a major British manufacturer of railway equipment and later cranes, from 1869 to 1987. There was a sugar beet factory at Ipswich for many years; it was closed in 2001 as part of a rationalisation by British Sugar. This agricultural link is preserved in the local football club's nickname "The Tractor Boys". Phillips & Piper Ltd on Old Foundry Road employed many women who sewed equestrian and hunt jackets for Harrods, Pytchley, and other labels for 130 years, finally closing down in June 1982. Willis Faber and Dumas Headquarters in Ipswich, was one of Norman Foster's earliest commissions. The British Telecom Research Laboratories were located to the east of the town in 1975 at Martlesham Heath; it is now a science park called Adastral Park. The area was originally RAF Martlesham Heath, a World War II airfield. Part of the old airfield is now the site of Suffolk Constabulary's police headquarters. A key employment sector is insurance, both wholesale and retail sectors. Some of the major players with a key presence in Ipswich include Axa, Churchill, Legal & General, LV and Willis. Access to a skilled and experienced workforce has also led to the establishment of ancillary businesses serving these companies, including call centres dealing with sales and claims. Ipswich is one of the Haven ports and is still a working port, handling several million tonnes of cargo each year. Prior to decommissioning, HMS Grafton was a regular visitor to the port and has special links with the town and the county of Suffolk. HMS Orwell, named after the river, is also closely linked with Ipswich. Ipswich is located close to the A14 and the A12 roads; it is also on the Great Eastern main line from London to Norwich, the East Suffolk line to Lowestoft and the Felixstowe branch line. There are two railway stations, Ipswich and Derby Road. It is an hour from Stansted airport, 40 minutes from Harwich international port and is also on Sustrans's National Cycle Route 1 and National Cycle Route 51. The port of Felixstowe is a major container port 12 miles (19 km) to the east. The town's railway engine shed opened in 1846 and closed in 1968. Ipswich is still a signing-on point for loco crews and a stabling point. Ipswich formerly had a municipal airport to the south-east of the town, which was opened in 1929 by the Ipswich Corporation. The airport was controversially closed in 1996 by Ipswich Borough Council. The site was redeveloped for housing as the Ravenswood estate. Ipswich's sole professional association football club is Ipswich Town, which was established in 1878 and, as of 2018[update], plays in the second-tier Football League Championship at the 30,300-capacity Portman Road stadium. Elected to the Football League in 1938, they have a strong rivalry with Norwich City, and were the previous club of the two most successful England managers, Alf Ramsey, who was buried in the Old Cemetery in the town on his death in 1999, and Bobby Robson. Ipswich won the League Championship in 1961–62 in their first season as a top division club during Ramsey's reign, as well as the 1978 FA Cup and the 1981 UEFA Cup under Robson. The club are also undefeated at home in all European competitions having drawn six and won the other 25. Ipswich is also home to several non-league football clubs, including Ipswich Wanderers and Whitton United in the Eastern Counties League, and Achilles, Crane Sports, and Ransomes Sports among others in the Suffolk & Ipswich League.The town has representation in both codes of rugby. There are two rugby union teams - Ipswich RFC, who play in London 2 North East League, and Ipswich YM RUFC - and one rugby league side - Ipswich Rhinos, who play in the Rugby League Conference. Ipswich Cardinals are an American football team, playing in the South-East Conference of BAFACL 1 — the second tier of the BAFA Community Leagues. The speedway team, the Ipswich Witches, have ridden at Foxhall Stadium on the outskirts of Ipswich since 1951 and have won the top-tier league title four times, the knock-out cup five times and the second-tier knock-out cup twice. The stadium is also used regularly for hot-rod and stock car racing. Ipswich Gymnastics Centre is one of only three fully Olympic accredited gymnastics facilities in the UK. Ipswich Swimming, formed in 1884 as Ipswich Swimming Club, is based at the town's Crown Pools, and also uses the Fore Street swimming pool. The most successful club member is World Championship gold medallist Karen Pickering. Ipswich had a racecourse which ran a mix of flat and National Hunt races from 1710 to 1911. State-funded secondary schools include comprehensive schools such as Copleston, St. Albans Catholic High School and Northgate High Schools and academies such as Ipswich Academy and Chantry Academy. Ipswich is also home to several independent schools, including Royal Hospital School, Ipswich School (both are co-educational and members of the Headmasters' and Headmistresses' Conference), Ipswich High School (has recently changed from girls only to girls and boys) and St Joseph's College (Catholic, co-educational). One, which serves students from the same area. Ipswich is the location of the University of Suffolk, Suffolk's first Higher Education Institution (HEI), established in 2007. It was originally a collaborative venture involving the University of Essex in Colchester, the University of East Anglia in Norwich, various further-education colleges and Suffolk County Council. However, the university was granted its own Degree Awarding Powers in November 2015, and in May 2016 it was awarded university status. The university was renamed to the University of Suffolk in August 2016, prior to its former name University Campus Suffolk. Ipswich experiences an oceanic climate, like the rest of the British Isles, with a narrow range of temperature and rainfall spread evenly throughout the year. One of the two nearest for which data is available is East Bergholt, about 7 miles (11 km) south west of the town centre and at a similar elevation, and similar river valley/estuary situation. The average July maximum of 23.2 °C (73.8 °F) is the third-highest for a major settlement in the country, behind London and Colchester, illustrating the relative warmth of the area during the summer part of the year. The record maximum is 35.2 °C (95.4 °F), set during August 2003. Typically, 24.9 days of the year will record a maximum temperature of 25.1 °C (77.2 °F) or above, and the warmest day of the year should reach 30.0 °C (86.0 °F), on average. The absolute minimum is −16.1 °C (3.0 °F), set in January 1963, although frosts have been recorded in all months except July, August and September. In an average year, 55.33 nights will report an air frost. The lowest temperature to be recorded in recent years was −14.5 °C (5.9 °F) during December 2010. As with much of East Anglia, rainfall is low, averaging 569.3mm in a typical year, with 103.8 days of the year reporting over 1mm of rain. All averages refer to the period 1971–2000. The weather station at Levington is even closer than East Bergholt at 9.4 kilometres (5.8 mi) from the town centre further down the river estuary on the way to Felixstowe. It has a slightly more marine climate than East Bergholt, with slightly lower highs and milder lows throughout the year in the 1981–2010 average period. It is slightly less prone to frosts, averaging 35.5 such occurrences in a calendar year. Sunshine levels at 1,707.7 hours per annum are relatively high for the British Isles, but not abnormal for southern parts of England. Probably the most famous person born in the town is the Tudor Cardinal Thomas Wolsey. The artist Thomas Gainsborough and the cartoonist "Giles" worked here, Horatio, Lord Nelson, became Steward of Ipswich, and Margaret Catchpole began her adventurous career here. Alf Ramsey and Bobby Robson were both successful managers of Ipswich Town. Ipswich was the birthplace in 1741 of Sarah Trimmer, née Kirby, writer and critic of children's literature and among the first to introduce pictorial material and animals and the natural world into it. Actor and director Richard Ayoade, best known for his role as Maurice Moss in The IT Crowd, was brought up in Ipswich, as was the ceramic artist Blanche Georgiana Vulliamy. Hugh Catchpole (OBE, CBE, Hilal-i-Imtiaz), a noted educationist which over 60 years of association with military schools and colleges in India and Pakistan, was born in Ipswich. ^ a b Wilson, John Marius (1870–72). "Descriptive Gazetteer Entry for IPSWICH". Imperial Gazetteer of England and Wales. Retrieved 27 July 2016. ^ a b "2011 Census - Built-up areas". ONS. Retrieved 7 August 2013. ^ ONS (2 July 2010). "Release Edition Reference Tables". ^ "IPSWICH CORE STRATEGY Census Data Trends Analysis" (PDF). Ipswich Borough Council. 29 February 2016. Retrieved 27 August 2018. ^ English, University of Nottingham - Institute of Name Studies School of. "Key to English Place-names". kepn.nottingham.ac.uk. ^ "History of Medieval Ipswich". Retrieved 13 June 2007. 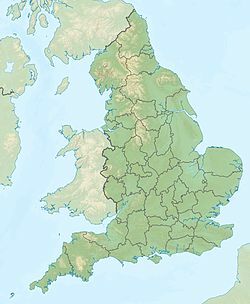 ^ "Anglo-Saxon Britain: England's Oldest Town". 1990 [adapted]. Retrieved 11 July 2016. ^ Hills, Catherine. "England's Oldest Town". Retrieved 2 August 2015. ^ Fairclough J. and Plunkett S. J. 'Drawings of Walton Castle and other Monuments in Walton and Felixstowe', Proceedings of the Suffolk Institute of Archaeology and History 39 Part 4, 419–459. See also Fairclough J. Boudica to Raedwald: East Anglia's Relations with Rome (Malthouse Press, Ipswich 2010), 174–77. ^ The so-called 'Whitton' villa, see Fairclough J. Boudica to Raedwald (cited above), 134–145. ^ Bowen, Emanuel "An Accurate Map of the County of Suffolk Divided into its Hundreds c. 1760"
^ Wade K. "Gipeswic – East Anglia's first economic capital, 600–1066", in Salmon N. and Malster R. (eds), Ipswich From The First To The Third Millennium (Ipswich, 2001), 1–6; Hodges, R. Dark Age Economics: The Origins of Town and Trade AD 600–1000 (London 1982); Plunkett S. Suffolk in Anglo-Saxon Times (Tempus, Stroud 2005), 76–78, 129–133, 148–52, 156–58, 200–202; Gardner, Rhodri "Ipswich, Cranfield's Mill", in "Archaeology in Suffolk 2005", Proceedings of the Suffolk Institute of Archaeology and History 41 Part 2, 2006, p.251; Verhulst A. E. The Rise of Cities in North-Western Europe (Cambridge University Press 1999), pp. 27–30; Malster R. A History of Ipswich (Phillimore, Chichester 2000), pp. 5–13. ^ K. Wade, "Gipeswic – East Anglia's First Economic Capital 600–1066," in Salmon N. P. and Malster R. (Eds), Ipswich From the First to the Third Millennium (Papers from an Ipswich Society Symposium), (Ipswich Society, Ipswich 2001), 1–6, at pp. 3–4. ^ Plunkett S. J. Suffolk in Anglo-Saxon Times (Tempus, Stroud 2005), 130–133, 201. ^ Malster R. A History of Ipswich (Phillimore, Chichester 2000), 13. ^ North J. J. English Hammered Coinage (Spink and Son, London 1980), Volume I: Early Anglo-Saxon to Henry III, "Mint Towns" (p 194), Ipswich, Suffolk: Edgar to John. Example figure:Aethelred II first hand type, Plate X no. 23, Cat. 766 & p. 120. ^ Martin, Geoffrey "The Medieval and Early Modern Borough" in Salmon N. P. and Malster R. (eds), Ipswich From the First to the Third Millennium (Papers from an Ipswich Society Symposium), (Ipswich Society, Ipswich 2001), 7–17. ^ Text of charter (translated into English) and image of 1200 Town Seal, see Wodderspoon, J., Memorials of the Ancient Town of Ipswich (Pawsey (Ipswich): Longman, Brown, Green & Longmans (London) 1850), 'Ancient Incorporation of the Town', pp 75–130, at pp 75–85. ^ B. Zimmerman, 1899, 'The White Friars at Ipswich', Proc. Suffolk Institute of Archaeology 10 Part 2, 196–204, at p. 199. ^ Malster 2000, 43–47, 63–67. ^ Blatchly J. M. A Famous Antient Seed-Plot of Learning (Ipswich School 2003), 27–41. ^ "Fisons at the root of modern agriculture". Archived from the original on 20 May 2006. Retrieved 17 June 2007. ^ "OBITUARY". Queensland Times. LVII, (9721). Queensland, Australia. 6 December 1916. p. 7 (DAILY.). Retrieved 31 July 2017 – via National Library of Australia. ^ "Ipswich history records many firsts for Queensland and Australia". ^ "Ipswich in the eighteen fifties" (PDF). Archived from the original (PDF) on 1 August 2017. ^ "Tolly Cobbold Heritage". Archived from the original on 24 April 2006. Retrieved 18 June 2006. ^ "CWGC Cemetery Report, Ipswich County Borough civilian war dead". ^ "Ransomes & Rapier WW1 & WW2 Memorials, Bourne Park Ipswich". Ipswich War Memorial. 2 February 2016. Retrieved 12 December 2016. ^ "Pioneering Management Guidelines for Modern Listed Buildings". Context. September 1995. ^ "Ipswich – Arras". Ipswich Borough Council. Archived from the original on 30 March 2008. Retrieved 6 May 2008. ^ "Borin Van Loon: Ipswich Historic Lettering". Archived from the original on 26 October 2009. Retrieved 15 June 2007. ^ Geater, Paul. "Suffolk to start new bid to bring city status to county town of Ipswich". Ipswich Star. Retrieved 23 February 2019. ^ "Ipswich wins Clean Britain Award 2007". Ipswich Star. Retrieved 23 February 2019. ^ "The 9 most desirable places to live and work in England". The Independent. 2 March 2017. Retrieved 23 February 2019. ^ "Flood barrier 'will protect 1,600 homes'". BBC News. 8 February 2019. Retrieved 10 February 2019. ^ "Grant of Planning Permission" (PDF). Retrieved 6 April 2007. ^ "DanceEast". Archived from the original on 27 February 2007. Retrieved 6 April 2007. ^ "Ipswich Entertains - Open Air Music, Film and Theatre!". Ipswich Entertains. ^ Publishing, JJ. "Review: Ipswich Jazz Festival". www.jazzjournal.co.uk. ^ "The churches of Ipswich". Retrieved 15 June 2007. ^ Worthington, Mark (10 September 2009). "Oldest ring of bells played again". BBC News. Retrieved 10 September 2009. ^ "Ipswich's former County Hall". Victorian Society. ^ Richard Atkins; David Ellesmere; Elizabeth Harsant (1 April 2006). "The case for a unitary Ipswich" (PDF). Ipswich Borough Council. Archived from the original (PDF) on 31 October 2008. Retrieved 24 April 2013. ^ "Town council unitary bid success". BBC News. 27 March 2007. Retrieved 4 June 2007. ^ "Decision letters for the unitary proposals". Department for Communities and Local Government. 25 July 2007. Archived from the original on 5 September 2007. Retrieved 27 March 2008. ^ "Borough is awarded unitary status". BBC News. 25 July 2007. Retrieved 5 January 2010. ^ "Unitary bid put on hold". Evening Star 24. 5 December 2007. Retrieved 29 December 2007. ^ "Days Gone By - Sew many wonderful memories of Phillips and Piper clothing works in Ipswich". Ipswich Star. Retrieved 26 December 2018. ^ "Ipswich Airport History". Retrieved 3 September 2011. ^ "Club History". Ipswich Town F.C. Archived from the original on 27 December 2005. Retrieved 25 November 2008. ^ "History of the Stadium". Ipswich Town F.C. Archived from the original on 8 September 2005. Retrieved 16 March 2007. ^ "Club honours". Ipswich Town F.C. Archived from the original on 13 December 2005. Retrieved 25 November 2008. ^ "Club Info". Ipswich Speedway. Retrieved 21 August 2010. ^ "Club Honours". Ipswich Speedway. Retrieved 21 August 2010. ^ "Ipswich bids for Olympic glory". The Evening Star. 9 November 2006. ^ London Organising Committee for the Olympic Games (3 March 2008). "East – Pre-games Training Camp Guide" (PDF). Archived from the original (PDF) on 22 November 2008. ^ "teamIpswich Swimming". teamIpswich Swimming. ^ "Campus renamed as independent university". 17 May 2016 – via www.bbc.co.uk. ^ Anonymous (4 July 2016). "University Campus Suffolk gains approval to become the University of Suffolk". ^ "1971–00 July average maximum". Retrieved 26 February 2011. ^ "2003 Record maximum". Retrieved 26 February 2011. ^ "1971–00 Average warmest day". Retrieved 26 February 2011. ^ "1963 Minimum". Retrieved 26 February 2011. ^ "2010 Minimum". Retrieved 25 February 2013. ^ "1971–00 average annual rainfall". Retrieved 26 February 2011. ^ "1971–00 annual average raindays". Retrieved 26 February 2011. ^ "Ipswich Climate Averages 1981-2010". Met Office. Retrieved 8 May 2015. ^ "Climate Normals 1971–2000". KNMI. August 2011. Retrieved 26 February 2011. ^ "Ipswich Climate Normals 1981–2010". Met Office. May 2015. Retrieved 8 May 2015. ^ Barbara Brandon Schnorrenberg, "Trimmer , Sarah (1741–1810)", In: ODNB, Oxford University Press, 2004 Retrieved 8 September 2014, pay-walled. ^ Barkham, Patrick (1 October 2008). "What's behind Richard Ayoade's loser act?". the Guardian. ^ "Hugh Catchpole: An institution unto himself". DAWN.COM. 20 September 2008. Retrieved 11 March 2018. ^ "Hugh Catchpole: Founder Principal". www.cch.edu.pk. Retrieved 11 March 2018. Wikimedia Commons has media related to Ipswich. "East Anglian Film Archive: "Ipswich" search results - eafa.org.uk". Retrieved 2 May 2012.